H. M. Smith is most remembered for his days as a powerful administrator in the Bureau of Fisheries. 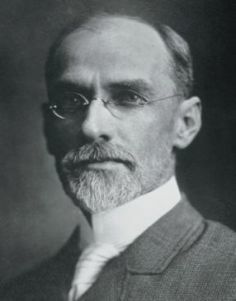 Smith ran the agency in good part as a scientific research body, eventually running afoul of the Harding administration and his immediate boss, Herbert Hoover, who wanted to see a more applied approach taken. Smith was finally obliged to resign in 1921, and after he was actually released in 1922 moved to Thailand as a fisheries consultant. Smith published some three hundred works, including around one hundred on fisheries science; the rest were devoted to a mix of subjects focusing primarily on ichthyology (including a good deal of systematics and natural history). --born in Washington, D.C., on 21 November 1865. --dies at Washington, D.C., on 28 September 1941. --Science, Vol. 94(2443) (1941): 381-382. --The Progressive Fish-Culturist, No. 55 (1941): 23-24.